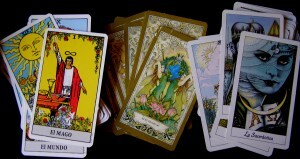 Have you heard about the Tarot on the mobile? Actually, now we do not need to get out of the house to get what we need. Even the Tarot, one of the most ancient practices that are still being used, has been converted into one of the services that can be offered on the phone. With the new modality of the Tarot on the phone, a lot of people will be able to know a lot of their life and about their future without having to get out of the house and without having to pay a lot of expenses. Let’s see how it works. Usually, it is about calls that are paid by minute. The consultant introduces himself briefly; he explains his doubts and the tarotist mixes the cards in his name. What the cards are going to say will be the answer to the main question for which the person has called. The truth is that this system of reading the cards has its advantages and its disadvantages. In the first place, for it to be a convenient experience, the tarotist that is one the other side of the line has to be someone in which we can trust. Another way, we have risks that we will run: that this person does not focus directly to the main question to make us pay more, to move the questions to other fields in which he can spend more time, etc. It also happens that, sometimes, people calls to some tarotists who further from trying to improve the life of the consultant by offering him the truth that the Arcana speaks, he simply tell their clients what they want to listen. The demagogy is present in this practice and it is one of the issues that causes more skeptism.